Over the last two weeks, we’ve announced two new guests! We’re welcoming back Ian McNeice – a fan favorite of our convention. Ian portrayed Winston Churchill on our screens during the 11th Doctor era. He has also appeared in numerous TV shows and movies over the last few decades. You can read Ian’s full bio on our guest page, here. Also added to the guest list – Rosie Jane! Rosie portrayed Bill’s mother in the latest series of Doctor Who, but her first appearance in the show was actually that of a High Council member during the 50th Anniversary episode The Day of the Doctor. You can also read more about Rosie over at our guest page. Back in mid-January, we ran a poll on our Facebook and Twitter about creating certain programming tracks for 2018 – more specifically, a cosplay track. Why a cosplay track? First, we received an overwhelming amount of positive feedback about a wider variety of cosplay panels in 2017 as well as a call to have cosplay group meet-ups in 2018. Secondly, this allows us to have this more focused programming about cosplay and cosplay meet-ups without sacrificing space for other programming. We also hope that starting to develop this specific programming track will allow us to begin developing others. 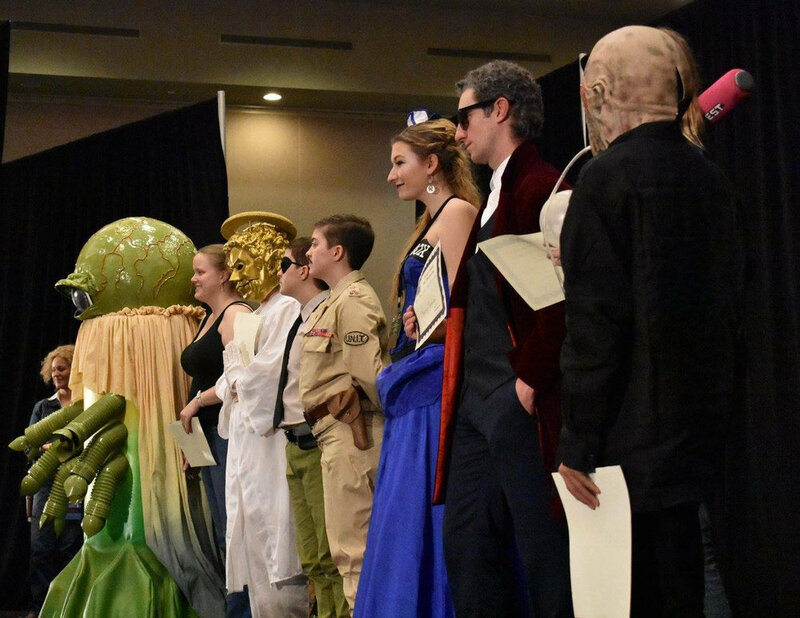 The poll’s results revealed that attendees who voted have a significant interest in a cosplay/costuming track and meet-ups for our 2018 convention. More info on this will be available come springtime. Finally, vendors and artists who were sellers at our 2017 convention have been offered the opportunity to return to sell in 2018. The overwhelming majority of you have signed up to be at Chicago TARDIS this year, and we thank you! Now that our returning artists and vendors have had the opportunity to sign-up, we will be opening our artist applications and vendor wait list applications this Friday at 12 pm, CST. The sign-up link will be posted here as well as on our Eventbrite page. Please feel free to e-mail us with any questions.